The Toyota RAV4 is roomy and popular, a compact crossover built on the front-wheel-drive Camry platform, with all-wheel drive available. For 2018, RAV4 Adventure, a new model, joins the line with a very lightly lifted suspension (half an inch). The 2018 Toyota RAV4 marks the sixth year of the current-generation model. The exterior and interior were freshened for 2016. RAV4 rivals include the Honda CR-V, Nissan Rogue, Ford Escape, Subaru Forester, Mazda CX-5, and Hyundai Santa Fe Sport. It's a competitive segment. The RAV4, CR-V, Rogue, and Escape are among the top 12 best-selling vehicles in the U.S.
Every RAV4 except the RAV4 Hybrid is powered by 2.5-liter four-cylinder engine making 176 horsepower, mated to a 6-speed automatic transmission with a sport-shift mode. It's not quick, as it takes nearly nine seconds to accelerate to 60 miles per hour; and it's not thrifty, as its EPA fuel rating is a below-average 26 miles per gallon Combined. The all-wheel-drive Hybrid, which gets 33 miles per gallon Combined, uses a 154-horsepower version of that 2.5-liter engine; connected to Toyota's Hybrid Synergy Drive system, it brings 194 total horsepower. All-wheel drive is standard, with a separate electric motor driving the rear wheels. At very low speeds, it can run in electric-only mode. 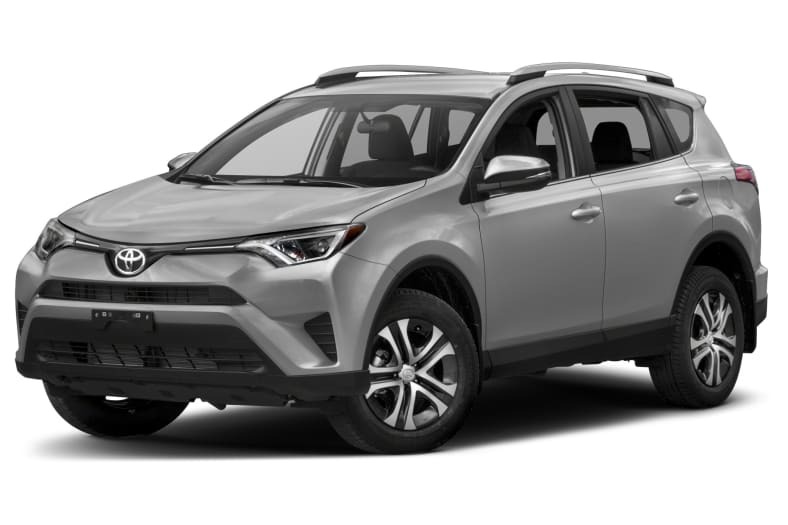 The Insurance Institute for Highway Safety rates the RAV4 a Top Safety Pick Plus, and the National Highway Traffic Safety Administration gives it five stars overall, with four stars in frontal-crash and rollover testing.